The Post noted that sites like Twitter and Facebook are taking steps to identify and combat fake news. "But you shouldn't leave it up to these big websites to perfectly curate all your news to you all the time," the Post said. "Can you identify the original source of the information in the story?" the publication asked. "If other reputable news outlets haven't picked up the story, it's likely you're looking at fake news." Among the Post‘s tips were double-checking an article's url to make sure it was not aping another more credible site, and using a reverse Google Image Search to find out the true source of any image. 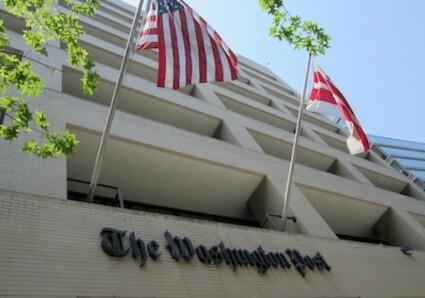 The Washington Post was recently accused of being "fake news" by President Donald Trump. Trump referred to the outlet as "Amazon Washington Post" in a reference to its owner, Amazon CEO Jeff Bezos.